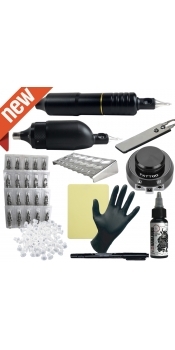 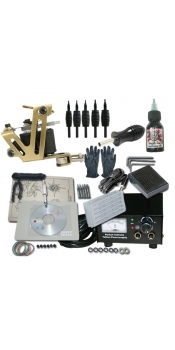 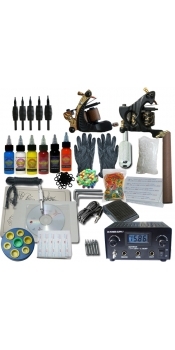 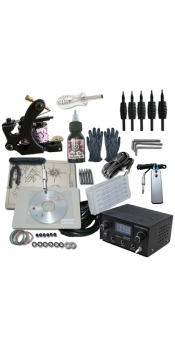 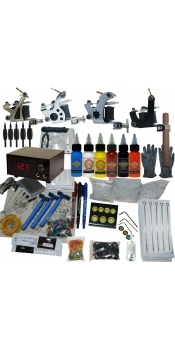 A tattoo kit should be equipped with tattoo needles, tattoo ink, power supplies, grips, cleansing tools, and practice skins. 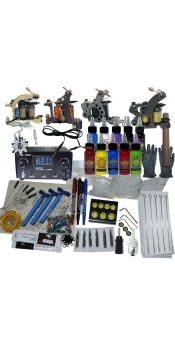 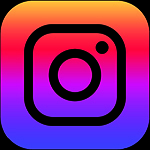 Tattoo needles are used for indenting the ink into the skin, needles of stainless steel and come in two uses, one for outlining the tattoo and another for shading. 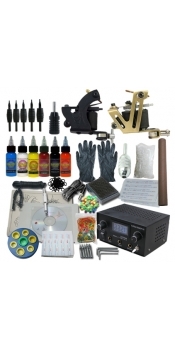 Tattoo guns are also for the same uses, finding a tattoo kit that contains two different funs so as to be easier for you since you don’t have to swap the needle of the gun from time to time.